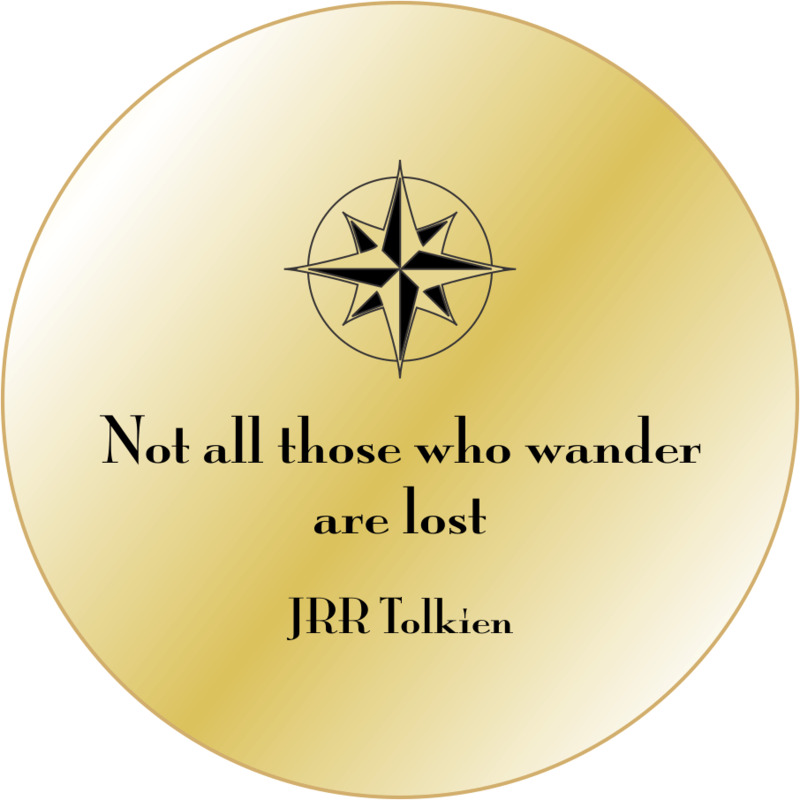 "Not all those who wander are lost" Pocket Compass is a solid brass 3" diameter pocket compass engraved with an inspiring quote celebrating the individual search and journey. Like so many of The Compass Company collection of engraved compasses, this 'TOLKIEN' was inspired our customers. This has been one of the most frequently engraved inscriptions requested on our custom engraved compasses. This solid brass pocket compass is already engraved, in stock and ready to ship. A beautiful solid brass reproduction of a large antique pocket compass. There is a small lever on the side of the compass that operates a needle lift mechanism to protect the compass bearing. The compass is 3" in diameter, 11/16 inch thick, and weighs 8.4 ounces. The compass rose is graduated in degrees and has a standard surveryor's 0-90 degree scale from North to South. Your pocket compass will come packaged in a black drawstring pouch and black pinstripe gift box. 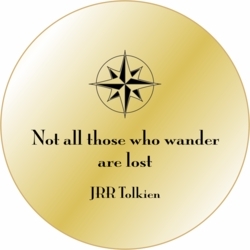 It will be engraved with the Tolkien quote as pictured in the graphic picture on the top of this page.